Last night I endured torture. The torture that comes with making something this heavenly looking and not getting to taste it and thoroughly enjoy the labors. Not only does the apartment smell amazing right now but Jeremy’s ‘mmm mmm’s’ are making this girl jealous. But really – I’m okay – I promise! I was sipping on an equally heavenly smoothie instead. 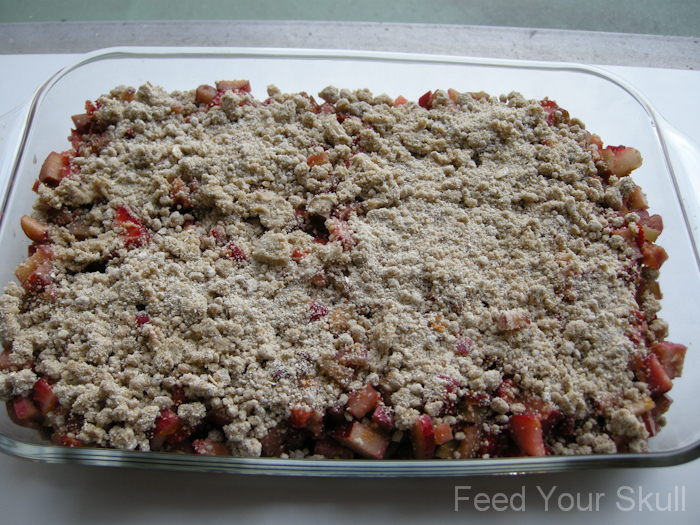 Growing up there was always a rhubarb dish being baked come spring time. Thank you Mom and Grandma! 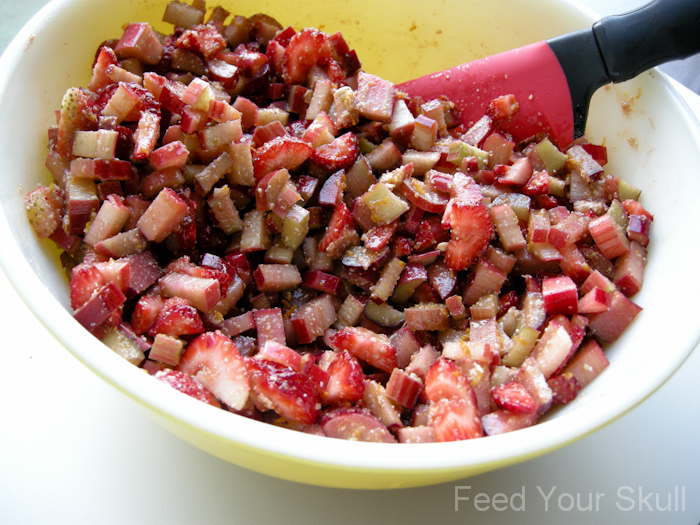 My Grandma also likes to make a simple strawberry rhubarb sauce on the stove that she enjoys alone or over ice cream. Yum! 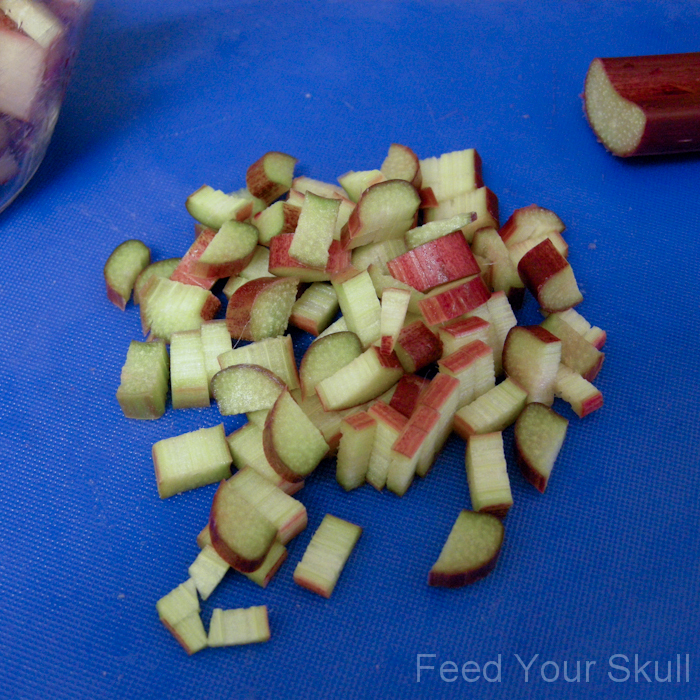 This rhubarb is from our farmer’s market haul this weekend and while not expensive it’s sure not as cheap as the kind that easily grew from our backyard in IL or my Grandparent’s backyard. 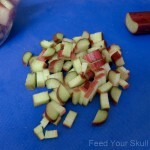 It’s always fun to pick your own rhubarb, knowing exactly where it grew. If you’ve never used rhubarb, you want to cut off the leaves (and DO NOT eat them – throw them away!) 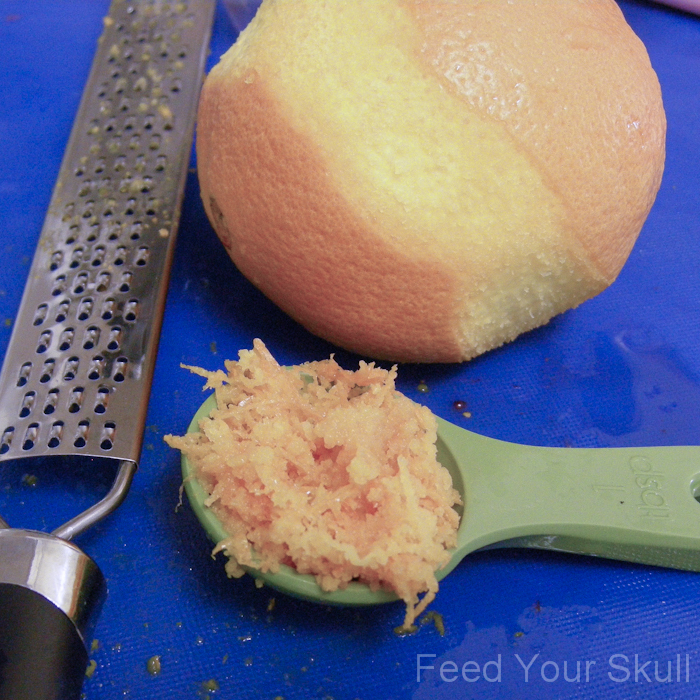 and the ends and wash them good, ensuring you’ve removed all of the dirt. 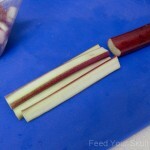 I then sliced the stems in half, then cut into 3-4 lengthwise strips, which I then chopped/diced. I added strawberries and orange zest to balance out the natural tartness of the rhubarb. Here’s the filling all ready to go! 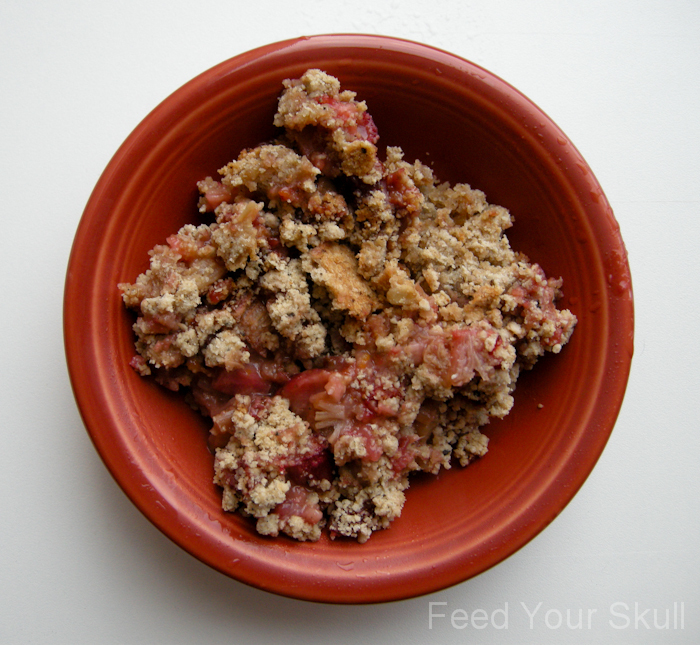 The crumble will make up the top and bottom of the crust. 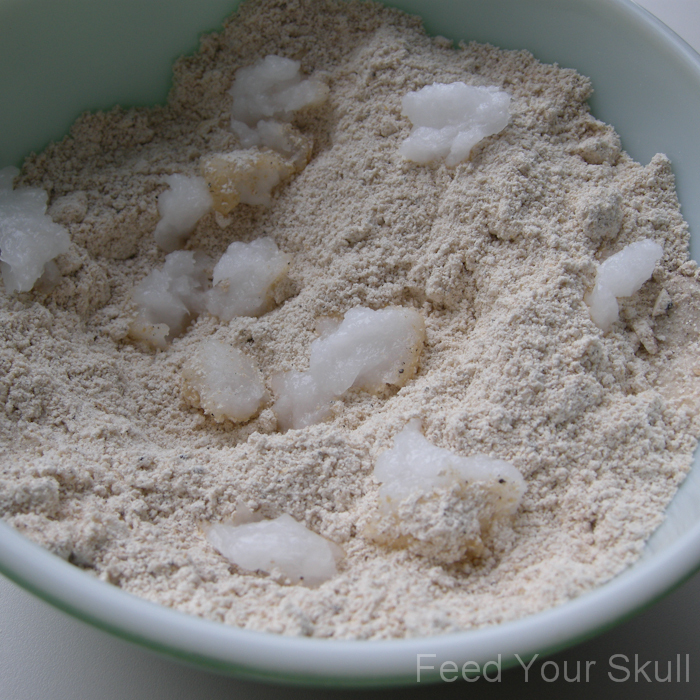 I mixed these ingredients in a medium sized bowl with a whisk, adding dollops of coconut oil to help it stick together and then mashing it with a large fork. Here the base is laid and waiting for the filling. Here it is ready to go in the oven and fill your house with its seductive aroma. Combine filling ingredients in a large bowl and toss well to mix everything together. Set aside. 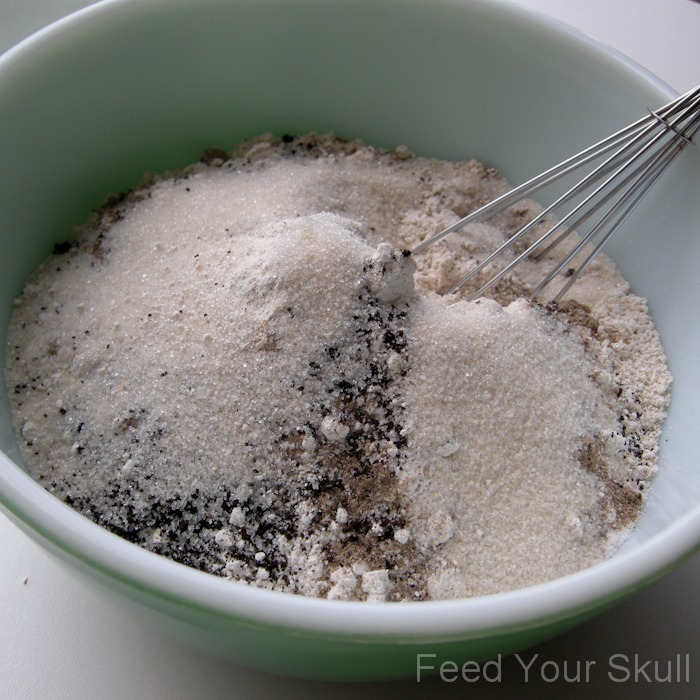 Combine flour, salt, cardamom, vanilla bean powder, and sugar in a bowl and mix well. 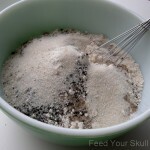 Now add the coconut oil in dollops/drops across the top of the flour mixture and mix mash with a large fork. 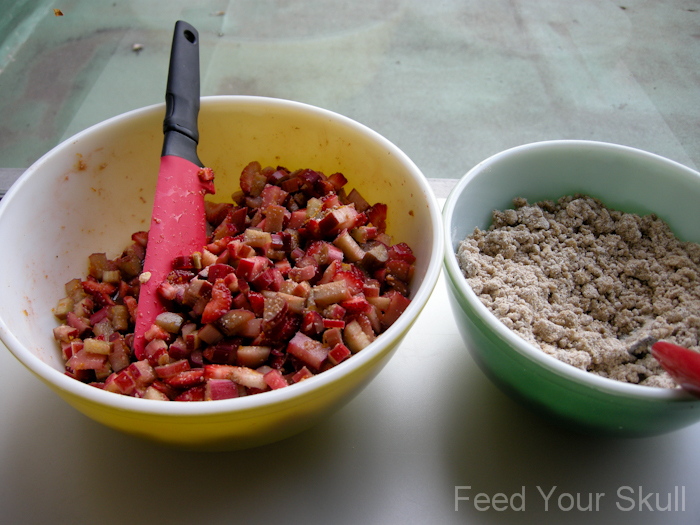 When you are done it should look like little nuggets of granola. 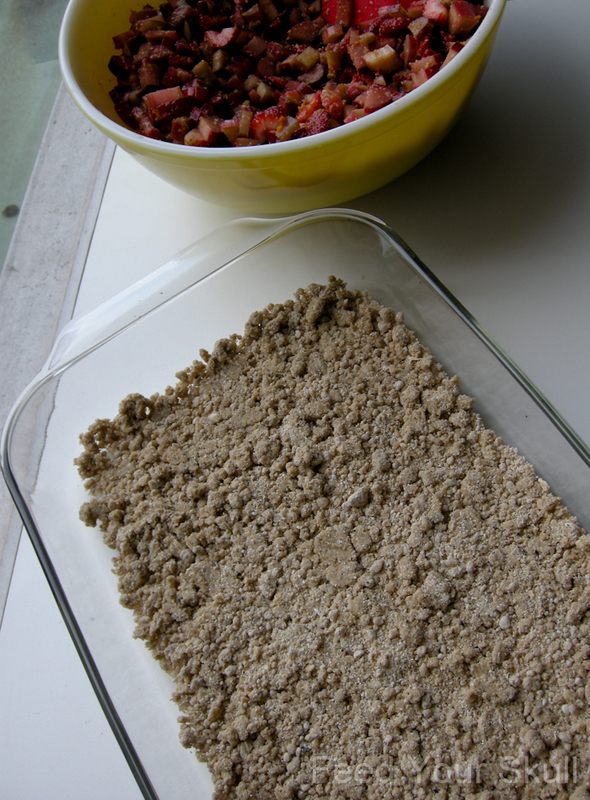 In a 13x9 pan, sprinkle half (about 2 cups) of the crumble mixture evenly across the bottom. 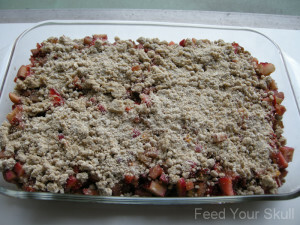 Add the filling on top of this in an even manner and top evenly with the remaining 'crumble' mixture. Bake at 350F for 55-65 minutes. Allow to cool and serve in little bowls with banana soft serve or your favorite ice cream. I made the oat flour for this recipe, simply because we didn't have any other flour in the house. 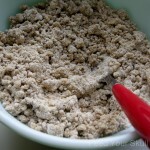 I took our old-fashioned oats and put them in the blender and milled them until flour appeared. 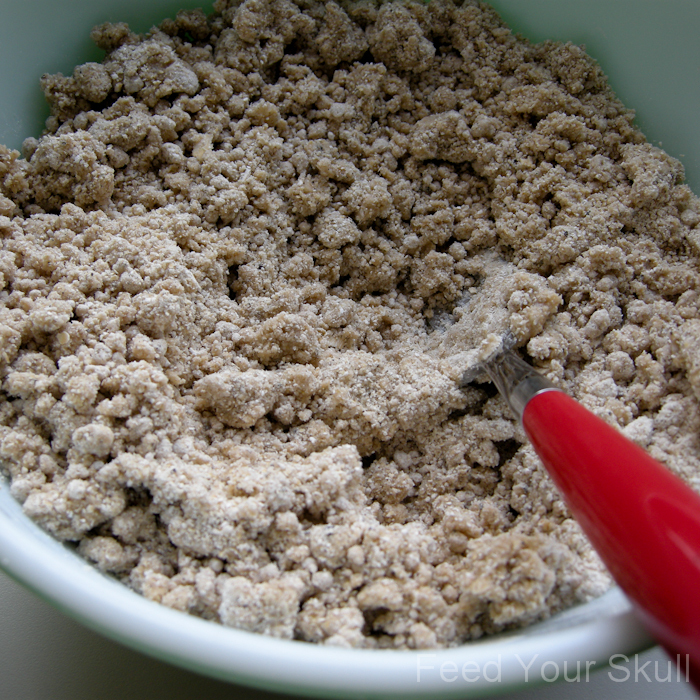 I don't know how many oats you'll need to start with - we didn't have much so I just blended that and then measured as I went. 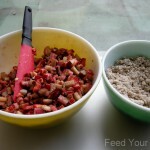 If you have the right oats, this dish could also be gluten-free. Looks like a yummy breakfast dessert! A church member brought rhubarb to church on Sunday to give away. I grabbed a bag of it. 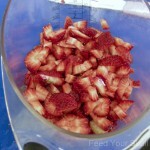 Now to add either apples or strawberries and create either a sauce or crumble. 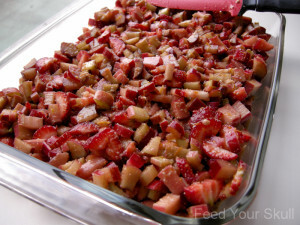 I have memories of picking rhubarb in the backyard of our farmhouse. It was always a race against time, for the season lasted only so long!